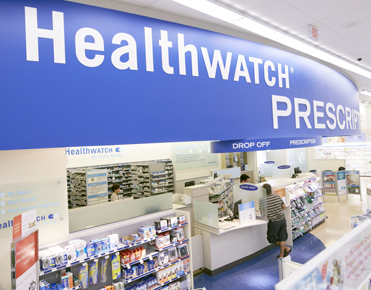 TORONTO — Pharmacy operators across Canada will be hit hard by lower generic drug prices set to take effect this spring, said Metro Inc. chief executive officer Eric La Fleche. The pan-Canadian Pharmaceutical Alliance — which represents the provincial, territorial and federal governments — and the Canadian Generic Pharmaceutical Association announced late last month that they have agreed to drop the prices of nearly 70 commonly prescribed generics. Canadian generic drug prices will be cut 25% to 40%, resulting in overall discounts of up to 90% off the price of brand-name equivalents. The drugs include treatments for high blood pressure, high cholesterol and ­depression. The action “will continue to improve Canada’s position in relation to international generic prices,” the two organizations said in a joint statement. “There will be an impact on sales as prices go down,” La Fleche said after Montreal-based Metro’s annual general meeting. “It’s an industrywide impact,” he said, while noting the effect on Metro will be mitigated, as its presence in Ontario is smaller than it is in Quebec, where a comparable agreement was reached in 2017. The upcoming price cuts led investment firm Desjardins Group to lower its rating for Shoppers Drug Mart owner Loblaw Cos. Desjardins reduced its target price for Loblaw to $76 (Canadian) a share, from $84, and downgraded its recommendation to hold. “Loblaw has experienced a confluence of headwinds,” wrote Keith Howlett, an analyst with Desjardins Capital Markets. He cited costs including a $190 million from the rising minimum wage, and $75 million to $150 million to address an alleged industrywide bread price-fixing scandal, along with the generics discounts, which he said will amount to $220 million. The steepness of the price reductions puts them at the high end of the range anticipated by the industry, said Irene Nattel, an analyst with RBC Dominion Securities Inc. She dropped her Loblaw target price to $84 from $87.